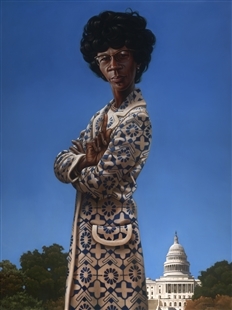 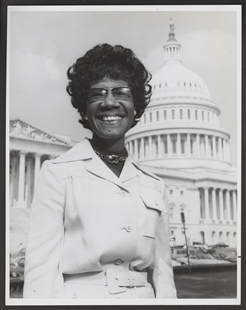 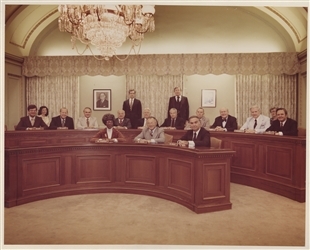 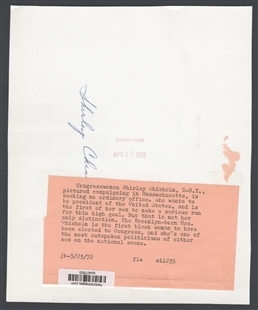 In 1972, Shirley Chisholm, the first African-American woman in Congress, sought the Democratic nomination for President. 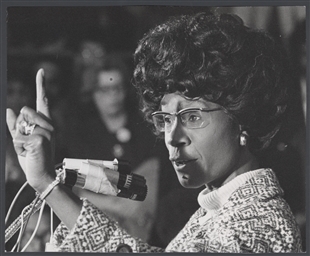 “Congresswoman Shirley Chisholm, D-N.Y., pictured campaigning in Massachusetts, is seeking no ordinary office,” the photo caption reads. 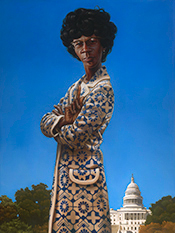 Her upheld index finger and powerful, stylish appearance in this photo are reminiscent of her 2008 portrait in the Capitol.